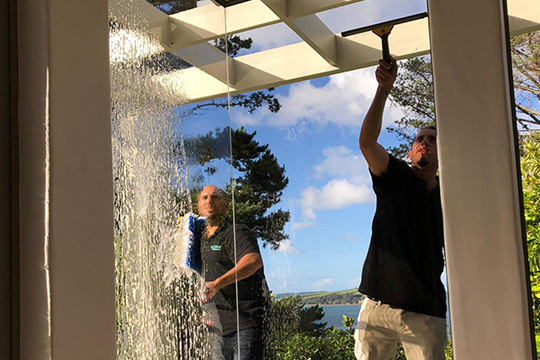 Crystal clear windows provide the best first impression when people visit your home or workplace, as well as allowing you to fully enjoy New Zealand's beautiful views. Window cleaning washes away pollutants that degrade the surface of the glass, and window washing at regular intervals is an important way of ensuring the maintenance of your premises. HygieNZ Cleaning Services is able to offer a professional window cleaning service while maintaining an enviable safety record. All members of our window cleaning team are fully trained in their work, are strictly committed to fulfilling Health & Safety requirements while reliably delivering spotless results. Please contact our friendly customer service team at HygieNZ Cleaning Services today via our contact form to discuss this service. We use Green products in all of our services.